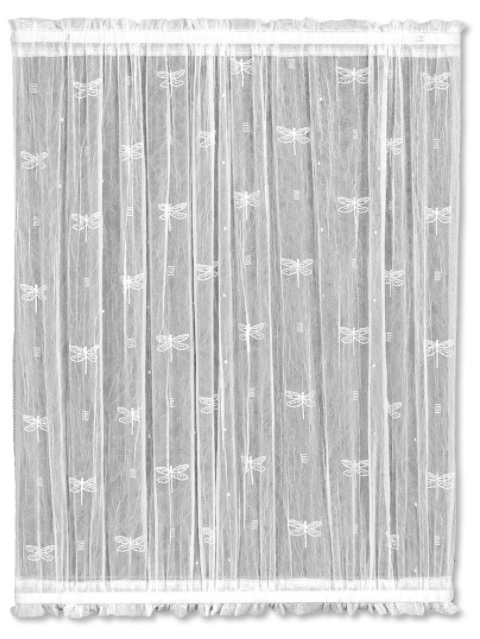 Sweet little dragonflies adorn these fun and simple sheer lace door panels. 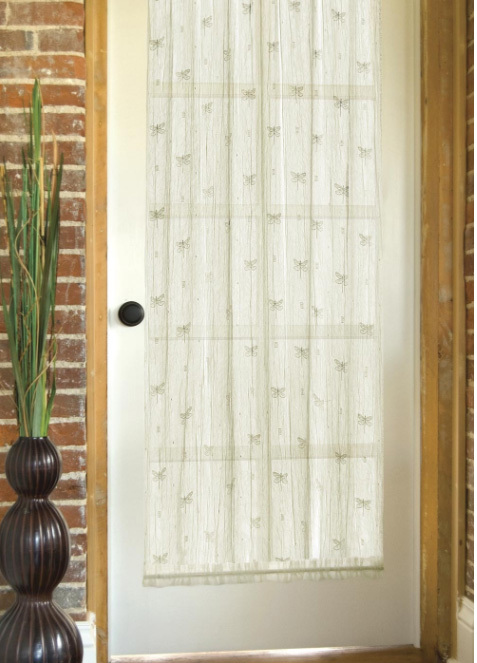 Add privacy to glass doors with a door panel, which has a rod pocket at both the top and the bottom. Available in 4 sizes, in white or ecru.